Blackberry and Ginger Smoothie with mint | This is Lauren. This smoothie combination is one of my favourites at the moment as it's so refreshing and makes me feel cool and summery. It's also packed with goodness that makes my skin glow. Place all the ingredients into a blender (or jug, using a hand held blender) and blend until smooth. 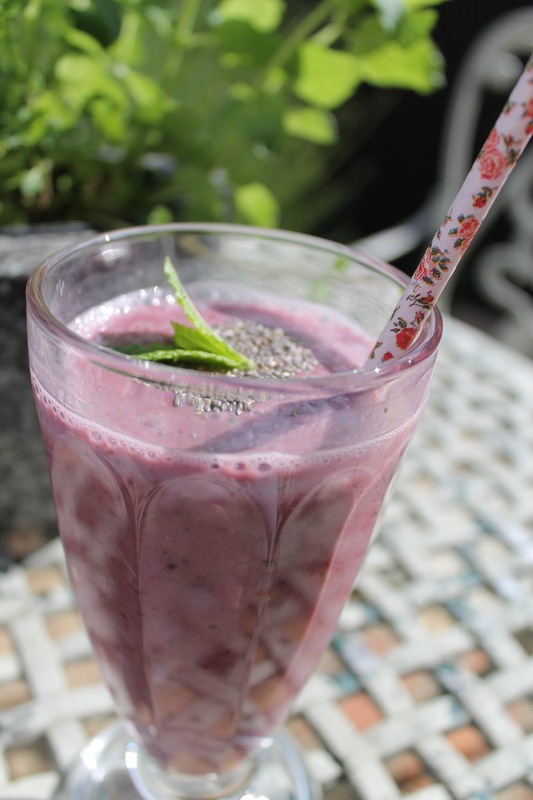 Top tip: Using frozen ingredients means the smoothie is extra cold and refreshing. I like to freeze sliced banana when it's just ripe then it stays perfect for as long as I want it and it won't go off, and it also means I can use just as much as I want without wasting any. Although it defrosts a bit mushy so it's best for things like smoothies or ingredients in baking, rather than to eat alone.